Want to be a great tennis player? 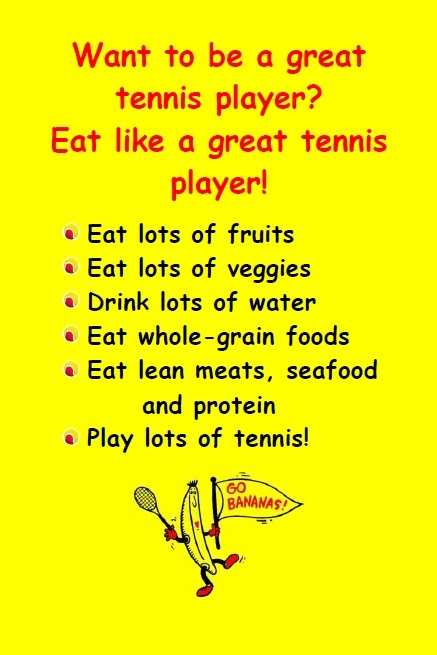 Eat like a great tennis player! That's the motto of Go Bananas for QuickStart! QCV created this campaign in 2009 to address childhood obesity and physical inactivity in kids and help create happier, healthier and more active kids by using tennis players as nutritional role models. Research shows that 70% of childhood obesity is attributable to physical inactivity. 25% is due to nutrition. 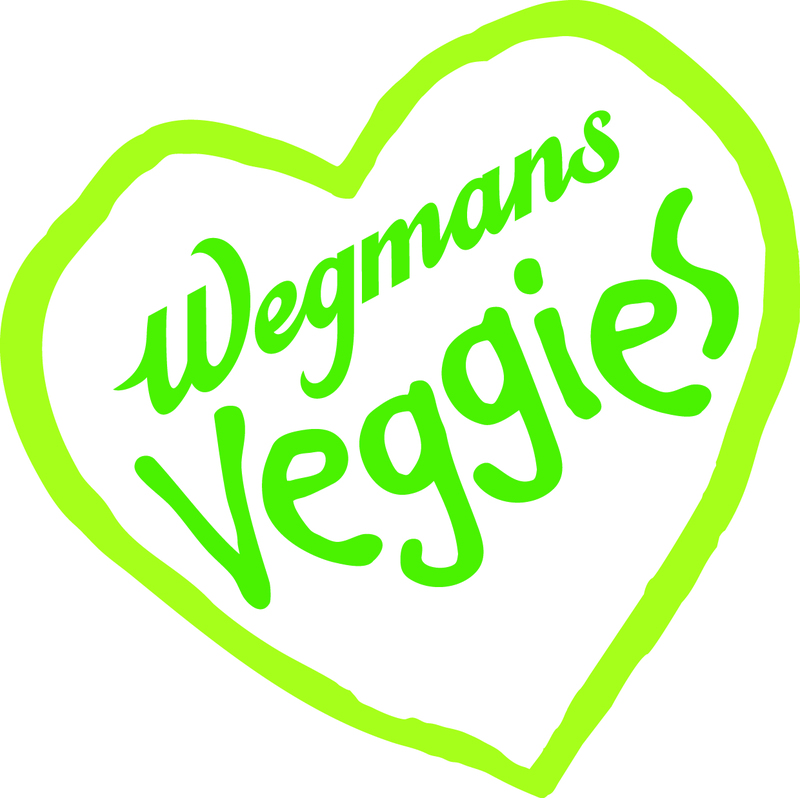 (That means Go Bananas! can address 95% of the problem!) The remainder is due to genetics. Also, 70% of overweight or obese kids grow up to be overweight or obese adults and 70% of obese kids already have indications of cardio-vascular disease. Someone needs to help kids fall in love with physical activity and healthy eating! We think every kid needs to Go Bananas! The QuickStart Tennis format includes motor skill development, tennis instruction and fitness/conditioning activities. Go Bananas for QuickStart! supplements the kid-sized Quickstart format with another element, nutrition/hydration, presented in the same FUN and engaging QuickStart way. The Go Bananas! model is simple -- ROLE MODEL, REINFORCE and REWARD. QCV performs Go Bananas! school visits throughout the school year. Kids are given a Go Bananas! poster, a silicone tennis bracelet and Go Bananas! cards that feature a different tennis player and describes a variety of foods and healthy eating habits. "Why do tennis players eat bananas?" "Why do tennis players drink water?" At some special school events, kids are given Go Bananas! drawstring bags, water bottles, hats, sunglasses, balls and racquets. QCV also attends school and community events -- Family Fitness Nights, Open Houses and Back-to-School Nights at schools, community health fairs and the Junior League's annual Kids in the Kitchen event at the Boys & Girls Club. Go Bananas! also serves as the foundation for BrightSTARS -- Tennis for Me! QCV collaborates with nutritionists and dieticians at the UVA Children's Hospital Fitness Clinic to ensure the nutritional information being passed along to the kids is correct and age-appropriate. The Go Bananas for QuickStart! poster, cards and giveaways are made possible by our generous sponsors. Go Bananas for QuickStart! Sponsors -- THANK YOU!!! QuickStart Tennis adds up for kids! Check out the Go Bananas! QuickStart Arithmetic card here. Why do tennis players eat . . .
Good nutrition and lots of tennis and fitness activities are only part of the equation. If kids aren't getting enough sleep then all the attention to diet and exercise during the day can be undermined. A recently released study, which followed 1,900 kids from birth to age 13, says kids who don't get at least 10 hours have an 80% higher probability of becoming obese. The researchers also say naps during the day don’t offset the effect. They think a lack of nighttime sleep throws off key hormones that affect weight and metabolism. The study in Archives of Pediatrics and Adolescent Medicine was supported by the National Institutes of Health. Why do tennis players . . .
Like to sleep? Mac Styslinger Study has linked lack of sleep as a child and obesity. Brush and floss? Treat Huey A healthy mouth helps keep your body healthy! Like to read? Vivi Hui Tennis = exercise for your body. Reading = exercise for your brain! Check out our card-sized (4" x 6") Go Bananas! poster. Printing of the Go Bananas! posters and cards is provided by UPrinting.com.